Last year, Lowewood Museum refurbished its archaeology display which explores the history of the Borough of Broxbourne, from the very earliest times up to the 1600s. On display are some of the most interesting objects in the Museum’s collection. 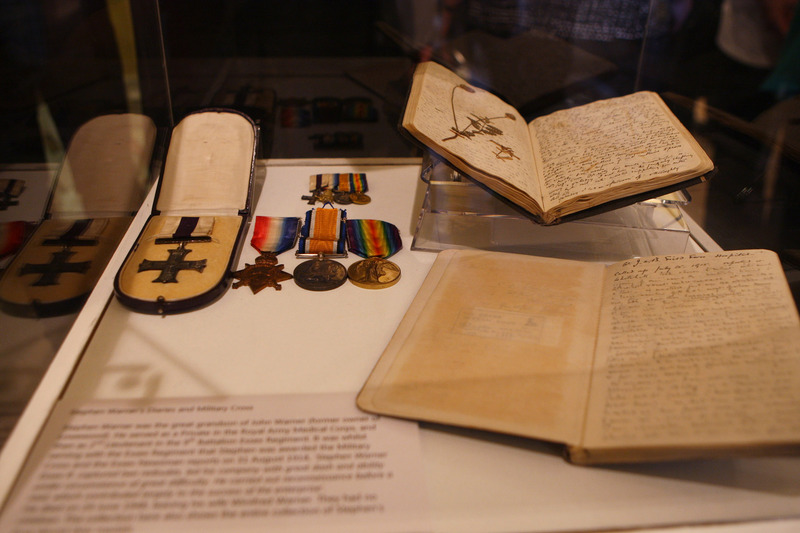 Find out more about them in this blog and pop into the Museum and see them and many more fascinating objects on display. 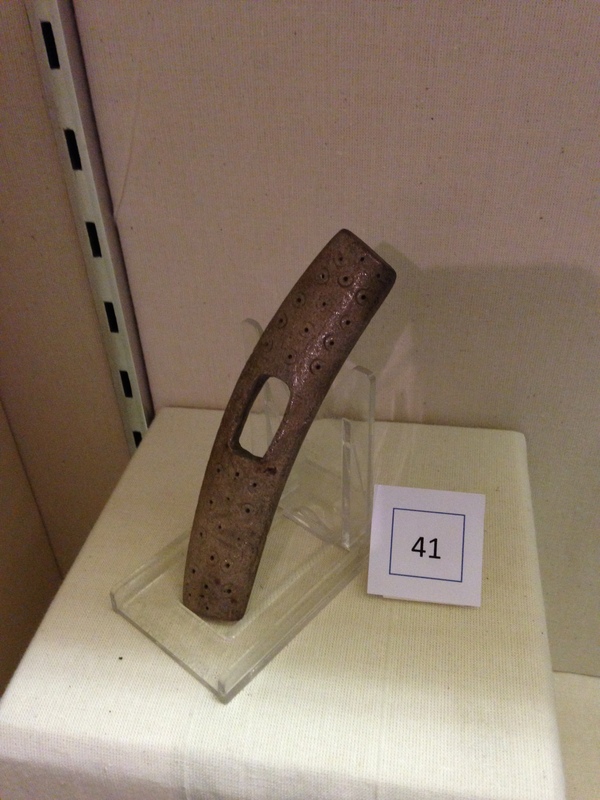 This toggle, made from a piece of antler, was found in Turnford in 1954. Antlers and bones were used throughout the later prehistoric period to make things like toggles for fastening clothing, as well as needles, pendants and dice. The objects themselves, like this one, are often decorated with concentric circles, a pattern typical of the Iron Age period. 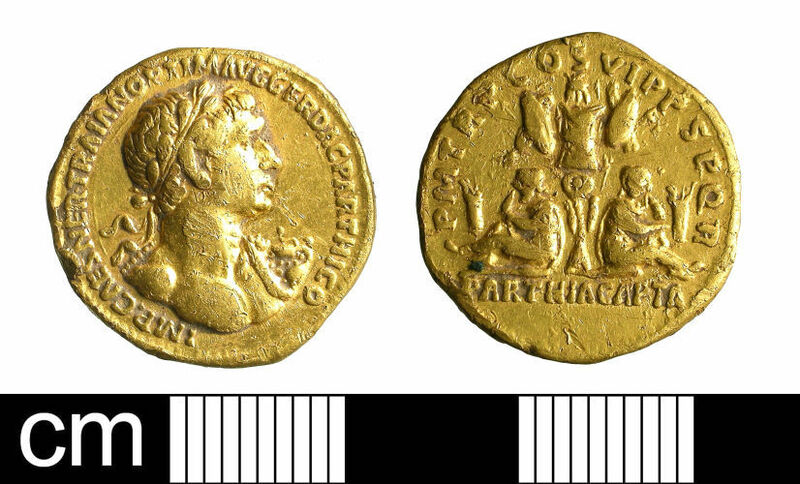 Found by metal detectorists on land adjoining Ermine Street, Cheshunt, this coin came to the museum through the Portable Antiquities Scheme. The finder kindly waived their prize money and the Museum was able to purchase it with a grant from the Hertfordshire Heritage Fund. 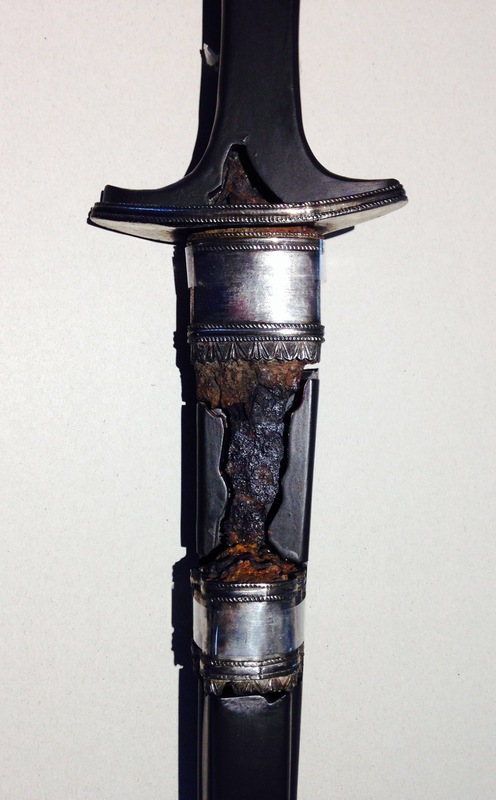 In 1918, this dagger was found by a workman beneath a hedge near Dark Lane, Cheshunt. It was sent to the Royal Armouries Museum in 1954 to be identified, and was found to be a most interesting find. It remained on loan with them until 2014 when it returned to Lowewood Museum. This type of dagger was specifically for civilian use and the form of its surviving silver sheath-mount shows it was originally accompanied by a small by-knife for domestic use. Lowewood Museum is free to attend and open Wednesday – Friday, 10am – 4pm and Saturday, 10am – 5pm. Members of the public can call the Museum on 01992 445596 to find out more or follow the Museum on Twitter @Lowewood.